“After slightly over a month of volunteering for LtN in Nicaragua. Saying that my time here has been an experience I will never forget would be an understatement. As there are five different lacrosse programs in total: two co-ed practices (advanced and beginner) at each of our two schools, plus a girls’ practice at Chiquilistagua (aka Chiqui), I get to play and help out with actual lacrosse around 20-25 hours a week. In addition to lacrosse practices, every Monday I have the privilege of tutoring some of the players at Chiqui before afternoon practice. Each program has its own unique charm as the kids and coaches that I work with at each program vary. “The advanced practices are lots of fun – helping Coach Maycol at Club Hope and Coach Juan at Chiqui and playing fast-paced lacrosse with the kids. 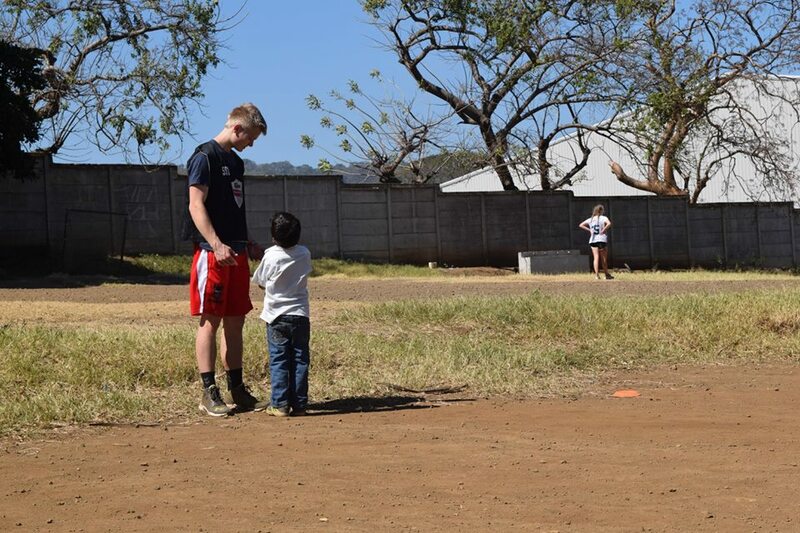 The beginner practices are equally as enjoyable, whether I am helping at the Club with Norman coach the kids (who seem to literally never run out of energy) or I am with my other PDs Susan, Andrew, and Matt helping Coach David teach our kids at Chiqui. Coaches Freddy and David with PD, Lou, and Chiqui beginner players at morning lacrosse practice in Nicaragua. Older PostDeportistas - One Year in the Making!